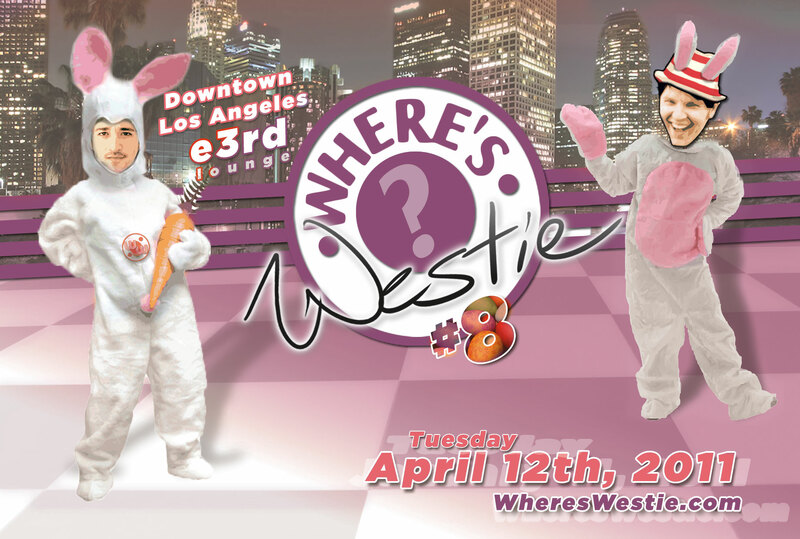 We’re going back to E3rd again in downtown Los Angeles for Where’s Westie 8 — It’s going to be a great time for some easter hoppin, bunny lovin, triplestepin, where’s westie fun that we all know and love! The best part — NEW DJ EQUIPMENT! — Yep Pete and Doug have been working at bringing out the best in music we’re able to offer, and now we have some new tricks up our sleeve that will only been seen during our live dances. Come on out to Where’s Westie #8 at E3rd on April 12th, 2011. Our 6th Poddy (podcast…duh)… Check it! Ladies and Gents’ get ready for Where’s Westie’s 6th podcast installment. As usual — strictly for the pleasure of your ear drums. So Check it out – and join Petah, and Douglas for some good ol’ radio/podcast/talkshow/music listenin fun! Here’s a link so you can head on over for a good listen!